Hotel New Shivalik is located next to the main Mall road in Manali. New Shivalik is well known for its decent accommodation and friendly services amongst the visitors to Manali for last one decade. The hotel is just a minute walk from the main mall road making it one of the best choices for tourists. With our newly built extension that speaks of traditional Kulluvi architecture, we offer rooms in various categories to suite your budget. New Shivalik offers several room categories to suite your requirements and budget. All the rooms are well furnished and fully loaded with all modern faculties and amenities. 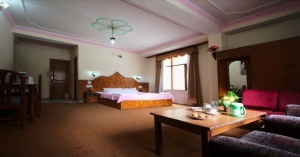 Our location makes us one of the most decently presented hotels in Manali. With ample space for vehicle parking and full view of Van Vihar makes us your best choice.